Bring on the 8mm cameras...modern technology is so 2015. There’s nothing like the joy of children; their laughter, their growth, their curiosity, that look of innocence in their eyes. This is the reason why you become a mother, to protect them at all costs. But what if what you once thought was pure becomes tainted? The life you led, which you once thought was perfect, soon becomes a nightmare. There’s nothing left to do but to run: run for your life, run for your child, run towards something better. But what if there’s no escape? What if your nightmares traveled with you? What if the fear you’re running from is your own child? 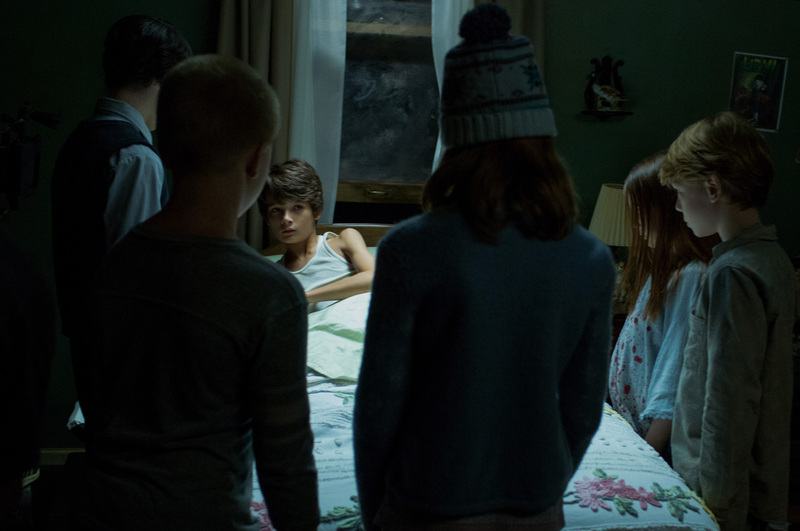 Sinister 2 poses these questions; turning the normal horror genre on its head to become a haunting roller coaster ride into the psychology of what invokes people’s fears. Or at least this is what it wants you to believe. 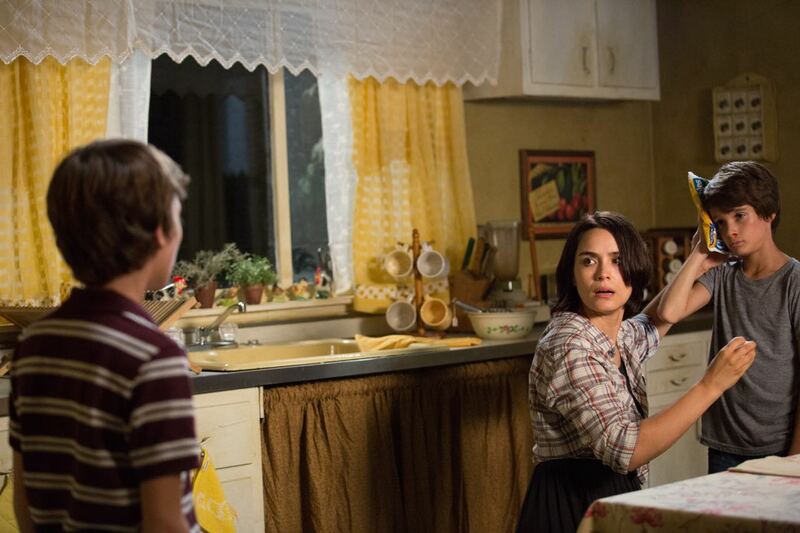 Meet Courtney Collins (Shannyn Sossamon), a woman on the run with her nine-year old twin sons, trying to escape her abusive husband, Clint, who is doing everything to get them back. Thanks to a friend, Courtney and her sons move into a house in the rural parts of Illinois… because that’s where every horror movie has to take place… in the middle of nowhere. Aside from the occasional fear of being found, life is rather normal and isolated for the family. Courtney takes pleasure in restoring furniture in a church which happens to be the grounds of a horrific murder years ago, which aside from the occasional rat or dusty fan, is also where the ghost children of Bughuul reside. Like all horror movies, the ghosts are attracted to the children because in this case, they are rather gullible and one proves to be mentally unstable (yay genetics). However, unlike previous horror movies, these “Children of the Vitamin D Deficit Corn” doesn’t spend their time tormenting the family or even bothering Courtney. Instead, they set their sights on turning one brother against the other in hopes of adding a new member to their gang. 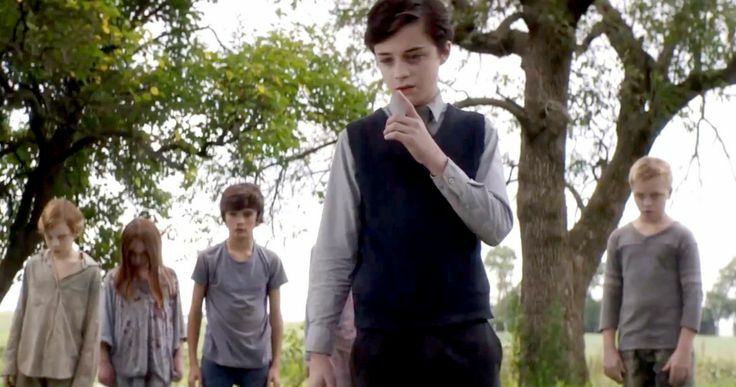 Led by Milo (Lucas Jade Zumann), a rather pushy ghost in need of a hug with a straitjacket, and fellow unmemorable ghost children, they rudely harass Dylan (Robert Sloan), the punching bag of the two boys, into watching a series of home movies proudly showcasing how each of them killed their family. This sad The Faces of Death rip off only pisses off Dylan’s twin, Zach (Dartanian Sloan) who wants so desperately to belong to something…wait for it…sinister. Returning to the movie is James Ransone as Deputy So & So (all hail creativity) who, still dumbfounded by the simplest things in life, continues trying to unlock the mysteries of Bughuul, the deity who has a fascination with children and home movies that mirrors Michael Jackson’s (minus the Jesus Juice). Somehow being able to tie his shoes, the now ex-deputy has taken on the role of arsonist who burns down all houses that have a connection with the ghost in hopes of putting an end to all the supernatural shenanigans. However, his plans hit a snag and complications emerge when he discovers the house he’s trying to burn down is currently occupied by the Collins’. Sinister 2 is not entirely bad. Unlike average horror movies, the plot is based in realism. Every day we are bombarded with news stories about domestic abuse situations and women often having to flee with their children. There are cases where children commit heinous crimes, are fascinated with snuff films, and there’s an entire program dedicated to true stories about evil twins (watch the Lifetime Channel). 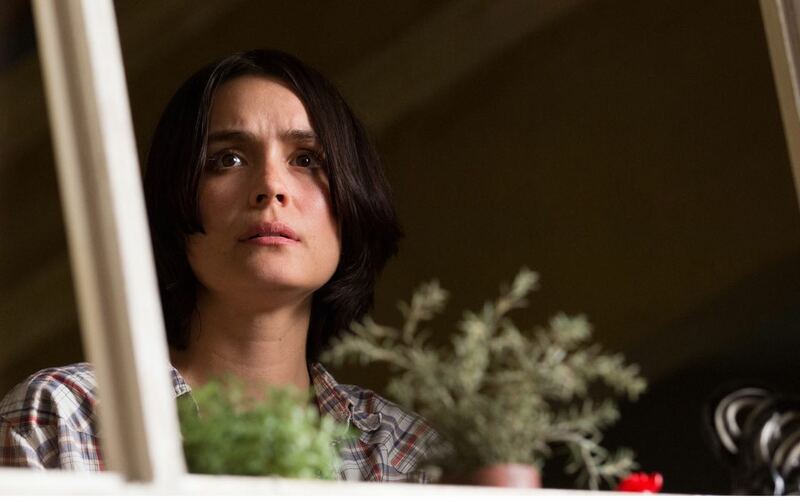 The movie is beautifully shot and is sound mixed to perfection. However, unlike the first movie, this one forces our emotions instead of letting everything come naturally. Deputy So & So comes across as such a doofus that you spend the entire time laughing at him instead of rooting for him. The father is so one-dimensionally unlikeable, he should have “please kill me” tattooed across his forehead. The mother is so damn inattentive and nonchalant about everything that the children are better living with their bipolar father. The only characters that prevent the movie from completely collapsing are the twins. 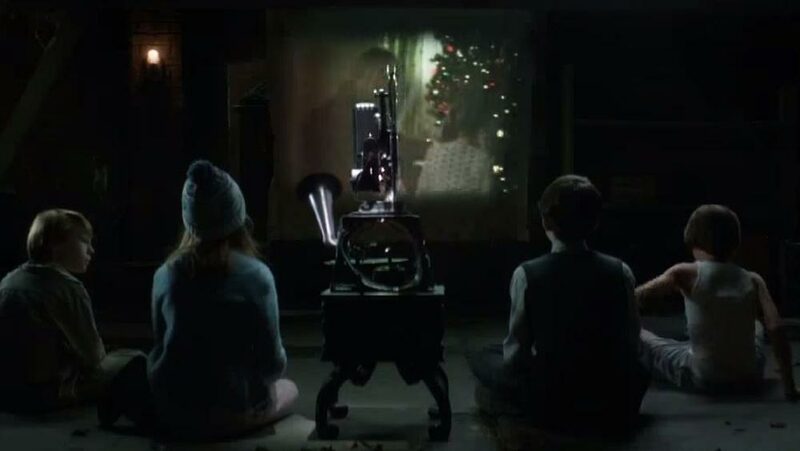 But just when you think there’s hope, the more you watch the movie, the more you’ll discover that there is no purpose for this installment nor is there any chemistry between any of the characters that would make you want to keep watching; not even between the ghost children whose main job is just to judgmentally hover. What made the first Sinister work so well that the fact that while we knew of Bughuul, he was barely seen, but waiting for him to show up helped create tension. This time around, he’s everywhere. In the computer, in the radio, eating dinner with the family, grocery shopping, and making a mess of the pots and pans. This takes away from the “shock” factor, so by the time he’s supposed to truly scare you; you’ve seen him so many times that you just yawn. The same thing goes for the heavy-handed use of the 8mm home videos that’s forced upon us. What originally is used as a tactic to help us feel the weight placed upon the Good Son 2.0, quickly turns stale. By the time one of the twins creates their own uninspiring murder scene, you’re left feeling nothing. Sinister 2 had the potential to be great but it barely passes as watchable. Not knowing what genre it wants to fit into results in it becoming a Jack of All Trades and a Master of None. It is a ridiculous, over-dramatic and bland staple into an already saturated genre. However, if you’re looking for a good comedy, this might be your safest bet. Thanks Bughuul.